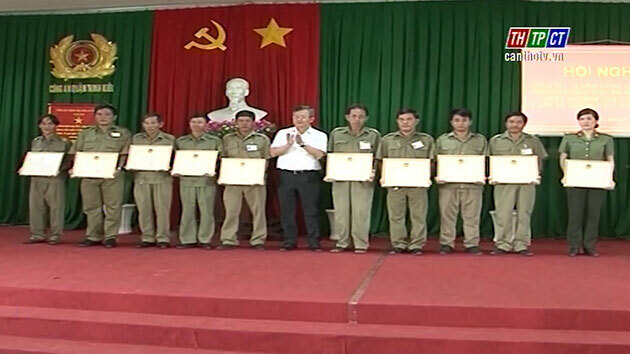 On July 18th, Bình Thủy urban district’s Defense Security Education Council organized the opening for the training on defense-security knowledge for teachers, workers in the area. There are 146 trainees who are teachers of different schools and officials in the districts studying 6 topics on outlooks and guidelines of Việt Nam communist party, policies of government on nation, religion, the prevention of peaceful happenings, disturbance and overthrowing of rival force, guidelines and opinions of the party and Việt Nam government on developing socio economy with intensifying national defense and security and so on. From the beginning of the year to present, the national defense – security education council of Bình Thủy district has organized 3 classes and expectedly, by the year end, there will be 2 more in the area./.